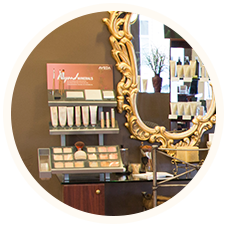 We specialize in hair, skincare, and makeup services. The art and science of pure flower and plant essences is at the core of Aveda™ products. All products are alive with the life force of plants and contain pure essential oils. Aveda™ goes to exceptional lengths to be respectful of the Earth and its well-being. 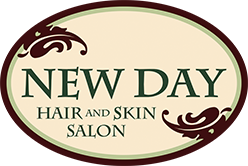 The staff at New Day Hair and Skin Salon specialize in hair, skincare, makeup services, and purefume aroma retail creations that utilize only Aveda™ products. 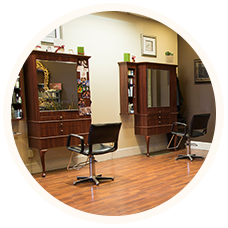 Our staff has extensive experience and training in haircutting and professional coloring–we strive to provide the best individual attention for a relaxing and comforting experience. 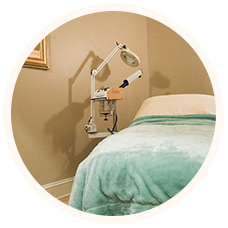 From waxing and eyebrow/eyelash tinting to revitalizing facials and peels, New Day Hair and Skin Salon focuses our energy on attaining perfection in all of our services to you. Have a stress-free wedding day with a special up-do and makeup application! We provide services for all occasions–proms, showers, girl’s spa day, anything! This place was great! Jill did my hair and matched the color that I wanted perfectly and the Aveda products she used made my hair so smooth and silky…My hair came out beautiful. Ever since moving to the valley I had looked for a good hair dresser. I finally found her, Jennifer! She is the owner, operator and is fantastic! There is another hair stylist there too, Jill, she is fantastic with colors. The salon also offers manicures, facials and massage. 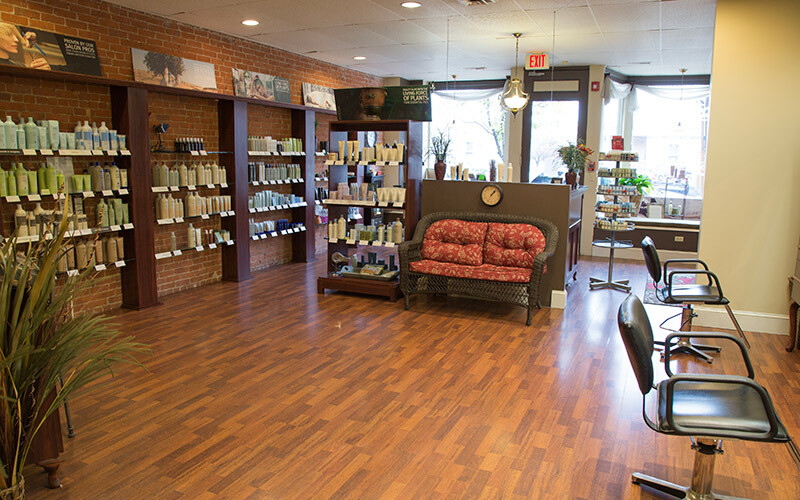 It is an Aveda based salon and is truly a nice little treasure in the heart of Shelton, CT.
Jill listened to what I had wanted and my hair came out exactly what I was envisioning. I love the haircut and color, thank you so much! Highly recommend Jill! Jill was very nice and did a wonderful job on my daughter’s hair. We would definitely go again! Wonderful salon! Lovely ambience, private room for color and shampoo, very friendly and professional staff. Excellent hairdresser! We are actively involved in our community of Shelton, Connecticut, participating in town fairs, local charities, and co-hosing events with neighboring businesses. Our partnership with Aveda™ provides quality products and mirrors our commitment to the care of the Earth and environment.